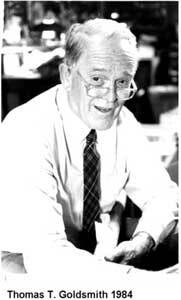 My association with Thomas T. Goldsmith began in 1984 where I visited him on numerous occasions in Simpsonville, SC which is a suburb of Greenville. 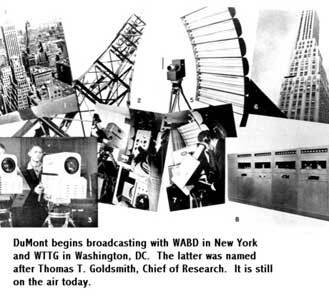 Thomas began working for DuMont in the early 1930's after receiving his PhD. At that time they were working on improving the cathode ray tube. 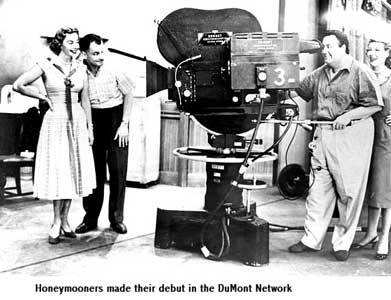 As time went, Thomas became Chief of Research and they began to enter the television market. 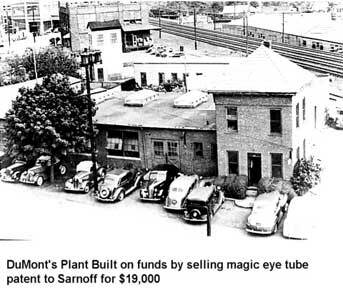 Their first manufacturing plant was built from funds derived by selling the magic eye patent to Sarnoff for $19,000k. 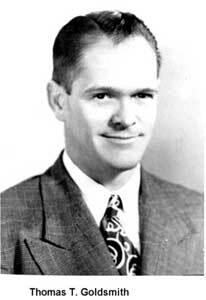 Thomas was instrumental in developing the television standards of today and was a member of the NTS Committee. 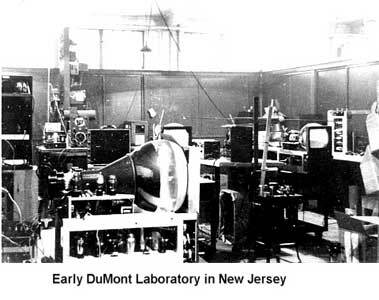 DuMont was formerly employed by Lee DeForest and on occasion he would come to visit. Thomas would listed to some of his theories, take him to lunch and pay him a consultation fee. There are many interesting stories to tell from his position up until they were purchased by Fairchild Camera in the 1960's.